To help us plan the best possible experience for you and your family, if you are interested in attending the family fun day, but not taking part in the 5k run, we would greatly appreciate you registering your interest below, so we can keep you informed and ensure we have plenty of fun and surprises for all! I consent to have my personal data above securely stored in order for the Cherrywood Family Festival to plan for the day and contact you in the event of any changes or updates to the day. Your information will never be shared. Thank you for registering your interest! We look forward to seeing you on the day. Celebrity MC will be on hand to kick off the race! Free Children’s Entertainment, Family Treasure Hunt, Picnic Area, Family Fun Area, Bouncy Castles, Ice Cream Van, Facepainting, Candyfloss & More. Run, walk, jog or scamper to the finish line! ** You are requested to park at the newly completed car park on Cherrywood Park road (located 100 metres past Brides Glen Luas stop, away from the business park, on the left-hand side of the road). The 5K Run and Family Festival will take place in Tully Park Cherrywood. There will be plenty of convenient, sign posted parking on the day. Arriving from M50: Take Exit 16 off the motorway and follow the Wyattville Link Road to Cherrywood Business Park. Follow the road around to the car park. Arriving from N11: Take the Cherrywood Exit off the N11, pass Cherrywood Business Park and take the 1st left to the car park. Nestled between the mountains and sea, Cherrywood represents a fresh, new way of thinking for how we live in Ireland. 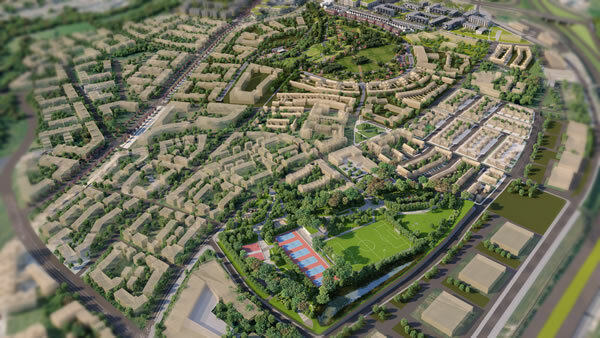 With 3 parks totalling 82 acres and over 5km of roads and cycle paths already in place, the new town of Cherrywood is taking shape. Come see us and you will discover a flourishing environment which is literally a breath of fresh air. 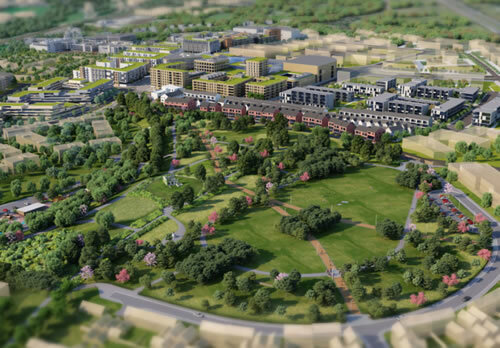 The Cherrywood parkland development will feature 3 new public parks (Tully, Ticknick & Beckett) over 82 acres. Sign up to our newsletter to receive monthly updates on Cherrywood. €20 Registration - All monies raised will go DIRECTLY to equip the new Paediatric Playground and will make a direct difference to the lives of children at the National Rehabilitation Hospital (NRH), now and in the future. 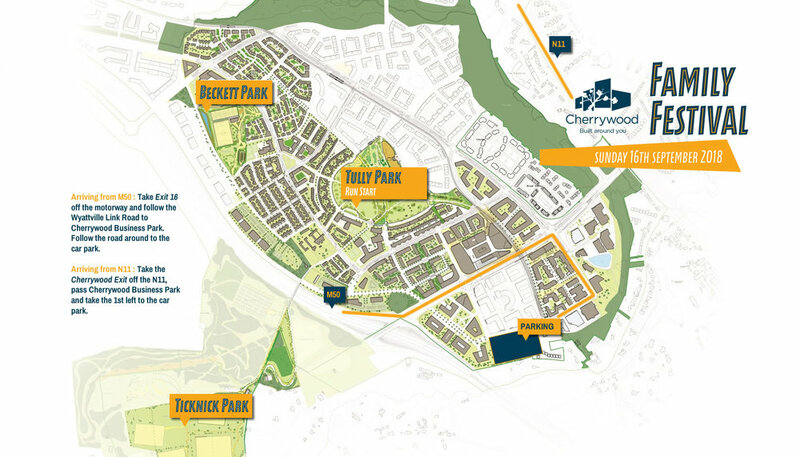 This 5km route will give runners/participants/partakers a 1st glimpse of the recently completed parks and roads of the new town of Cherrywood. All monies raised will go DIRECTLY to equip the new Paediatric Playground and will make a direct difference to the lives of children at the National Rehabilitation Hospital (NRH), now and in the future. The Paediatric Family-Centred Rehabilitation (PAEDS) Programme at the National Rehabilitation Hospital (NRH) is the only specialist rehabilitation service for children and young people in Ireland up to the age of 18, presenting with a range of acquired neurological conditions requiring complex specialised rehabilitation. The Programme provides rehabilitation services to children and young people following an acquired brain injury, stroke, spinal cord injury or limb absence. Family-centred care is the cornerstone of the PAEDS Programme at the NRH, with our specialist Interdisciplinary Team (IDT) working with each family throughout their child's rehabilitation journey. The ultimate goal being to support each child’s reintegration into family, school and community life to the greatest extent possible. Play brings a wealth of benefits that can positively impact on many of these areas. Physically, play enables children to gain gross and fine motor control and to practice and refine these skills. Regular physical activity promotes a healthy attitude towards nutrition and physical well-being. Cognitively, play stimulates memory, imagination, concentration, and creativity. Play provides a vehicle for the child to explore ideas, question, predict and solve problems. Linguistically, play leads to the development of verbal and non-verbal communication skills. Children will broaden their understanding of the world by making sense of their experiences through language. Emotionally, play enables children to name, recognise and talk about their feelings. When children are able to do this, they are better able to cope in times of stress, react appropriately to difficult situations and interact with their peers. 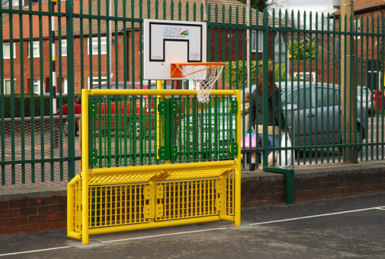 Furthermore play in the outside playground plus the indoor soft playroom will allow patients to participate and engage with their brothers/sisters in play activities that are geared towards their individual level of need and ability.